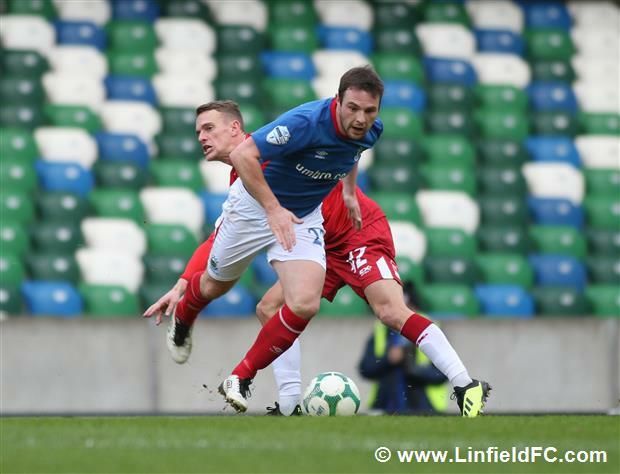 The Bannsiders shaded the opening exchanges and went very close to an opener after eight minutes. 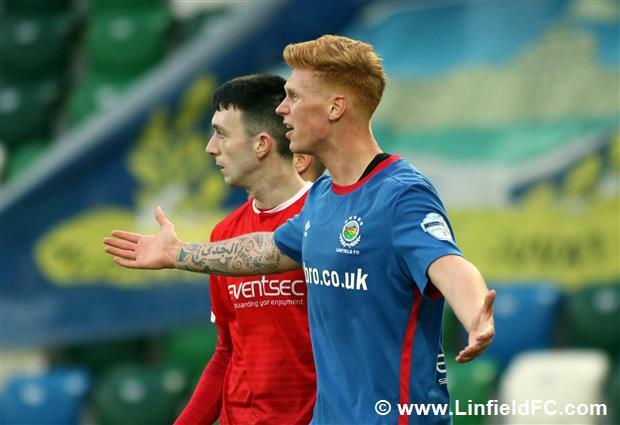 Jamie McGonigle found space on the right side inside the box and fired a shot at goal before seeing his effort deflect off Josh Robinson and onto the post. 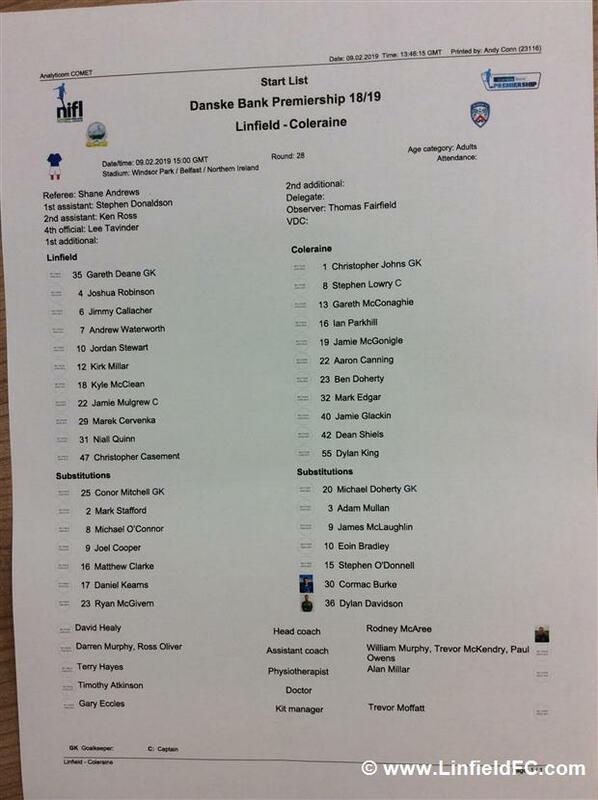 But Coleraine did get their noses in front ten minutes later. 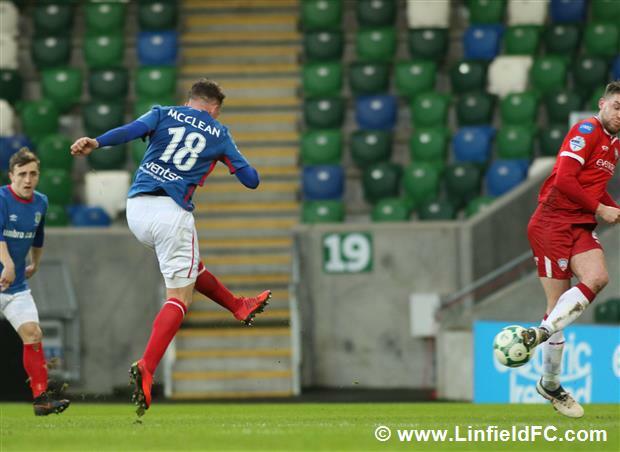 Winger Jamie Glackin retrieved the ball out left before firing in a cross which defender Gareth McConaghie turned in at the near post. 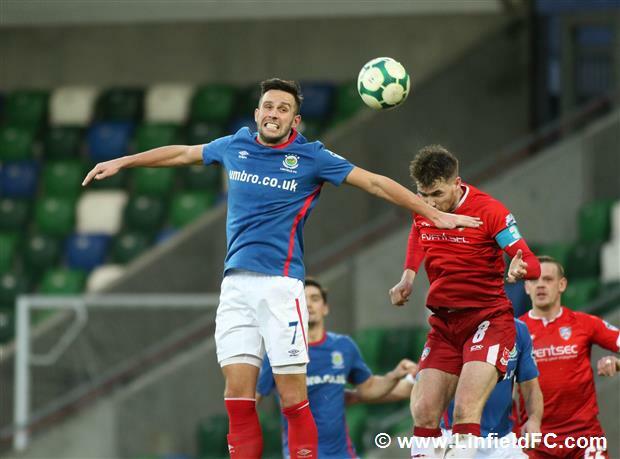 The Blues went in search of a reply and Josh Robinson went close on the half-hour mark, getting a looping header on Niall Quinn’s corner but Chris Johns pushed the ball away from under his crossbar when under pressure. 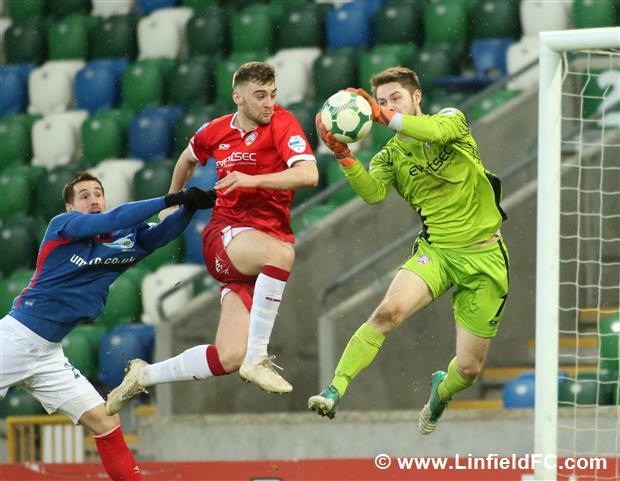 Rodney McAree’s men almost made it two just before the break as Glackin bolted towards the edge of the box before striking well but Gareth Deane produced a good save to clutch the ball. 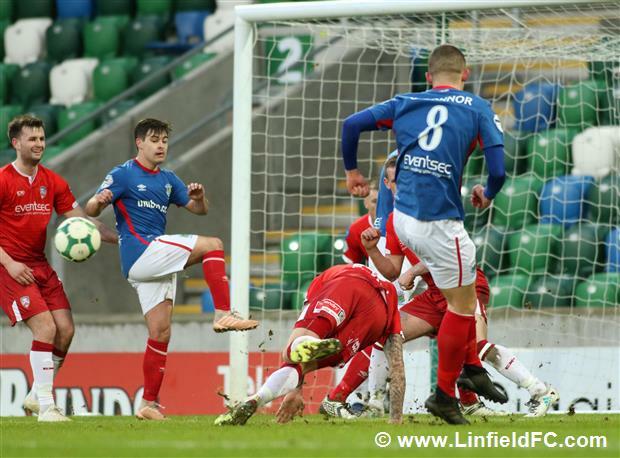 For the second season running, Linfield players felt they were on the wrong side of a goal line decision. 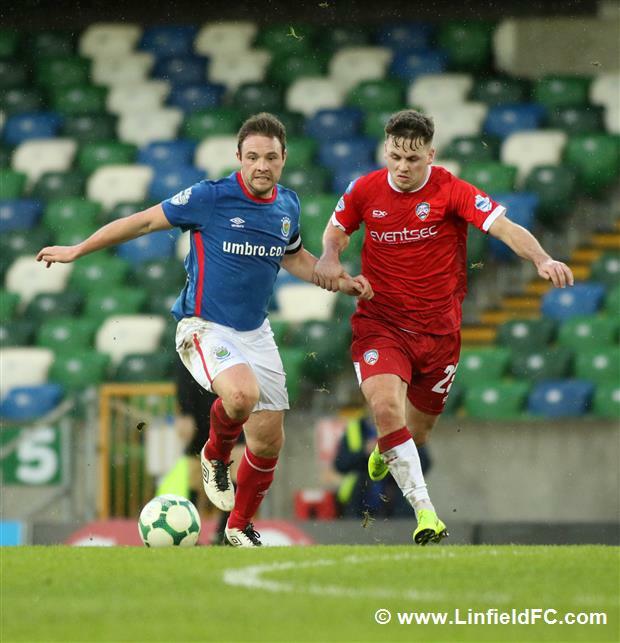 Dean Shiels met Ian Parkhill’s cross with a flick and although Gareth Deane thought he’d pulled off a stunning save, the linesman adjudged the ball to have crossed the line, leaving Linfield two goals down just minutes into the second half. 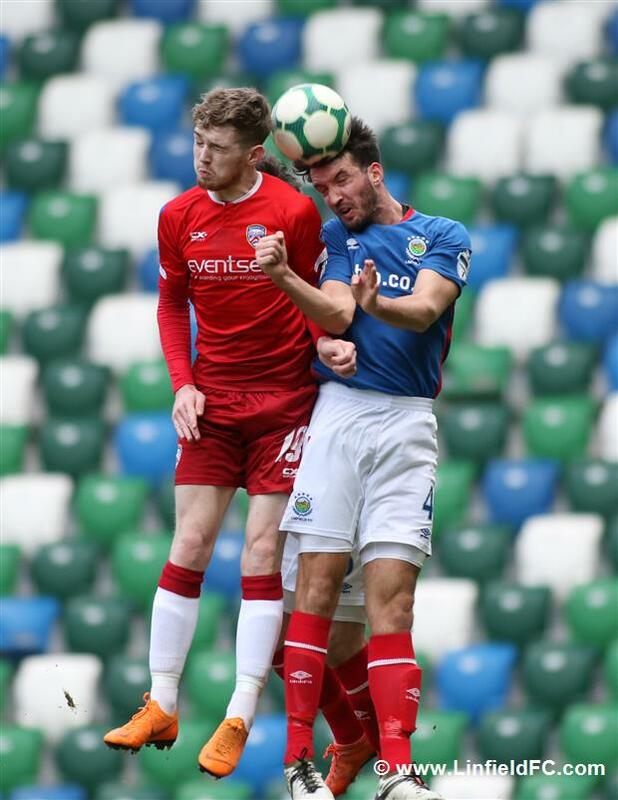 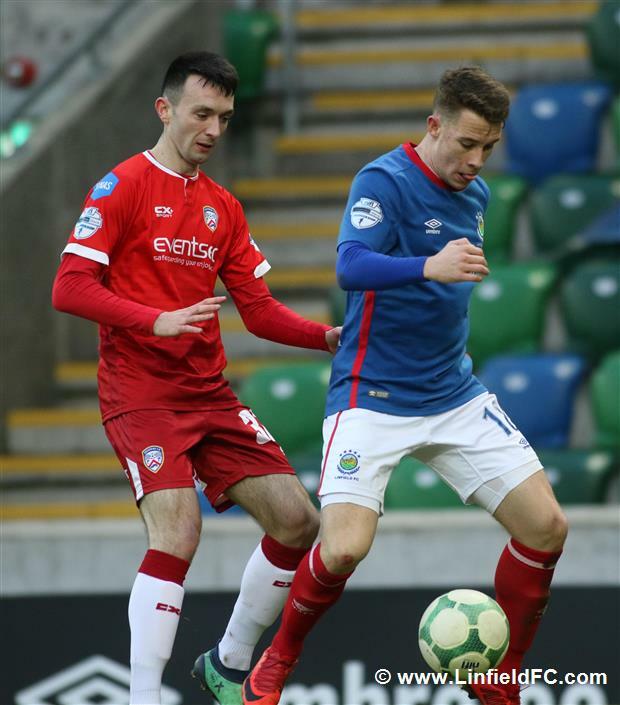 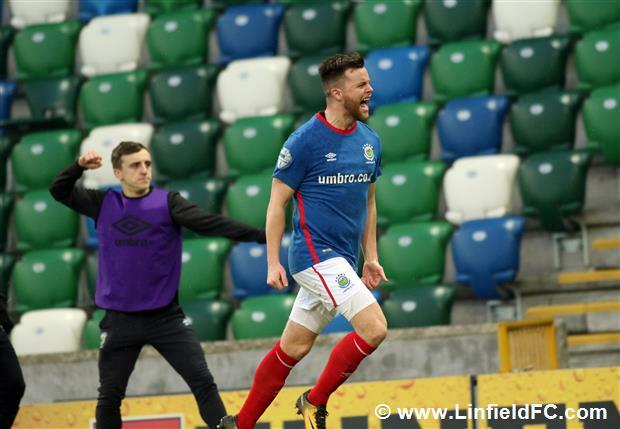 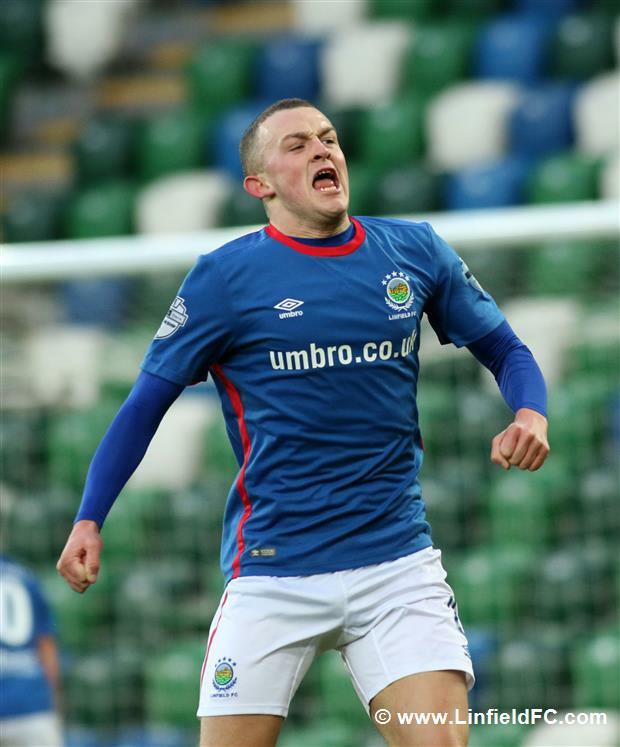 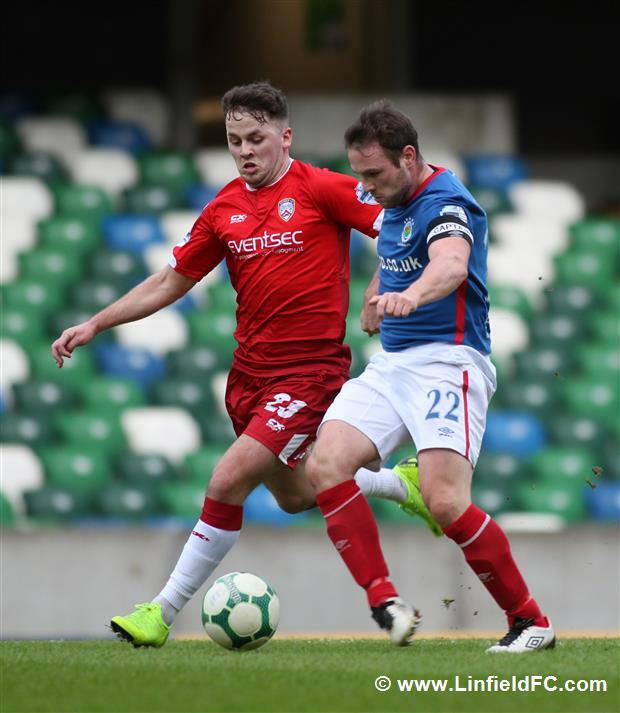 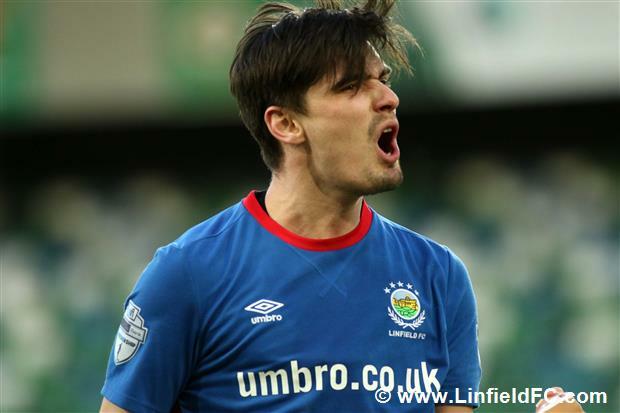 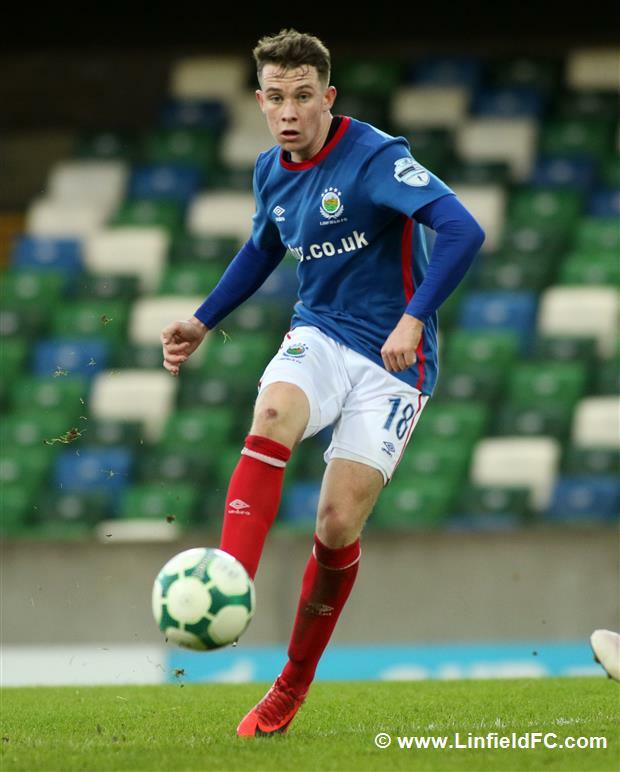 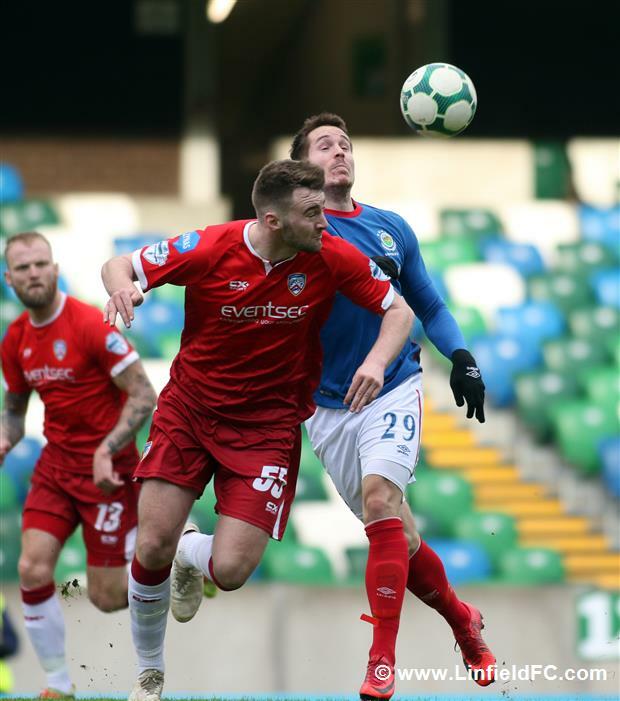 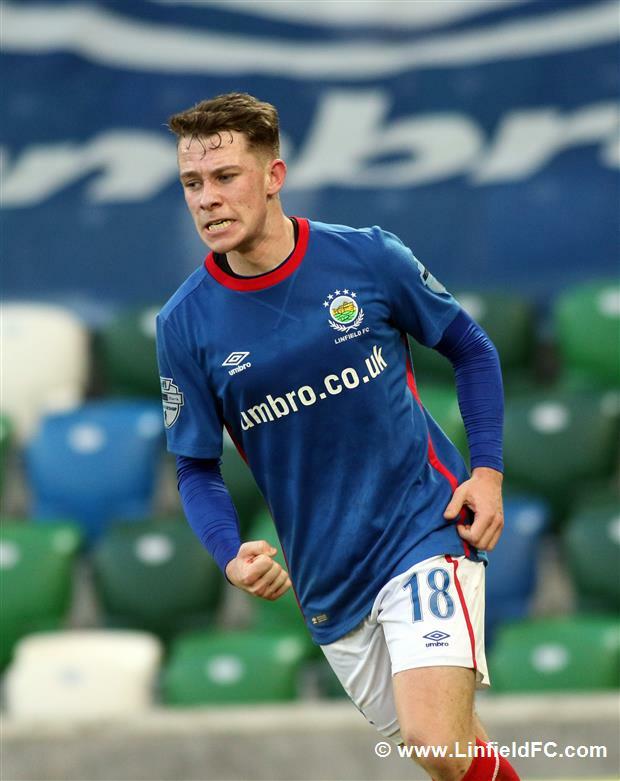 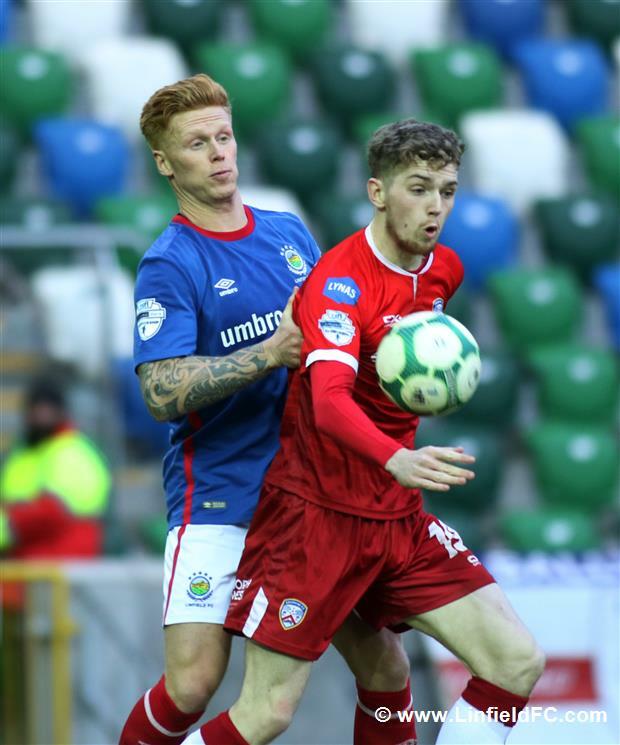 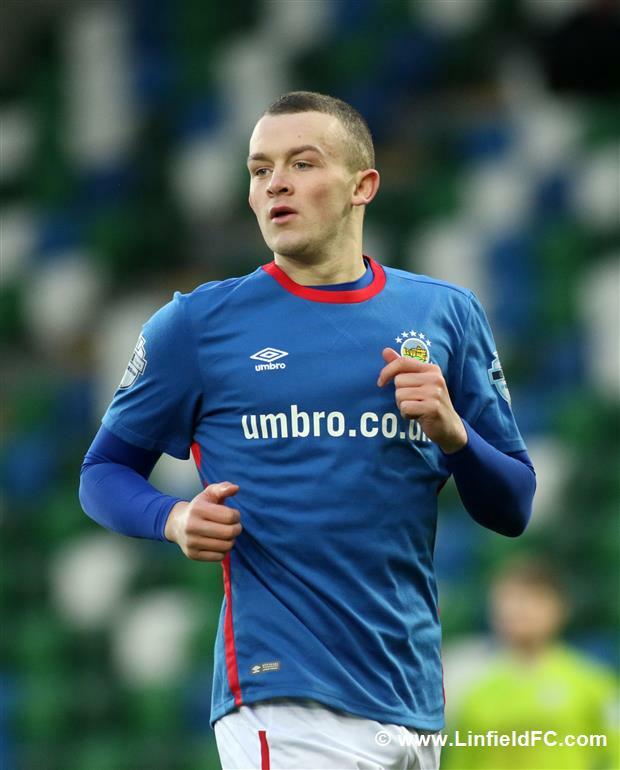 By this stage the Linfield faithful were very much frustrated but Josh Robinson popped up with a timely goal to give The Blues hope on 54 minutes. 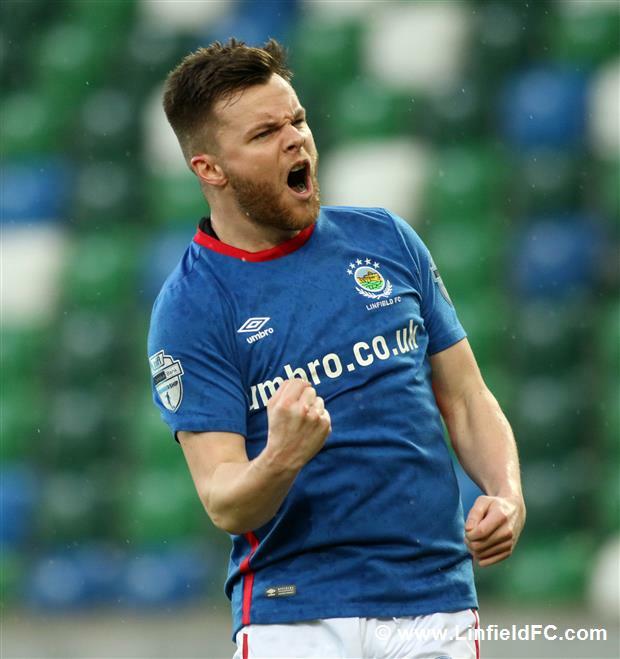 Jimmy Callacher cushioned Quinn’s free-kick down for defensive partner Josh Robinson to turn and hammer the ball into the net. 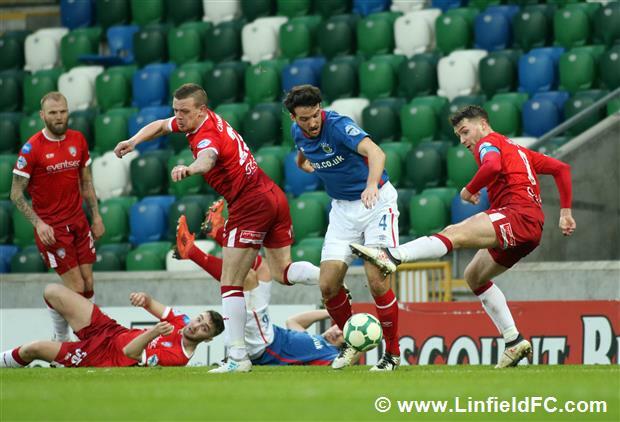 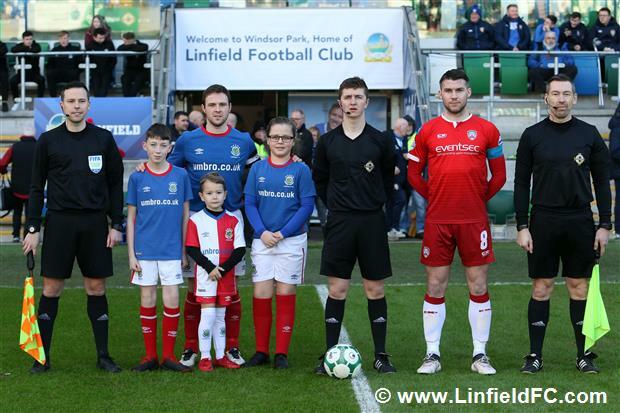 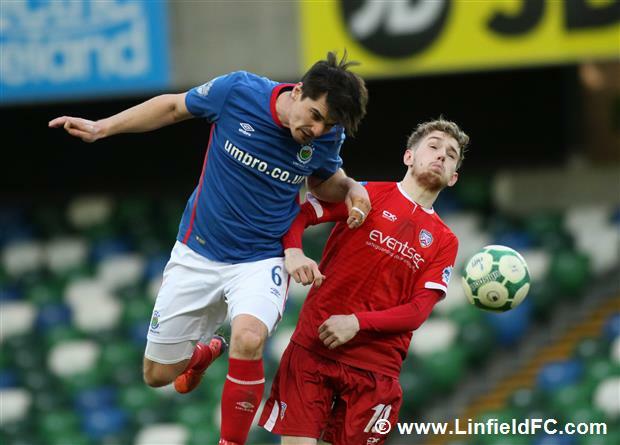 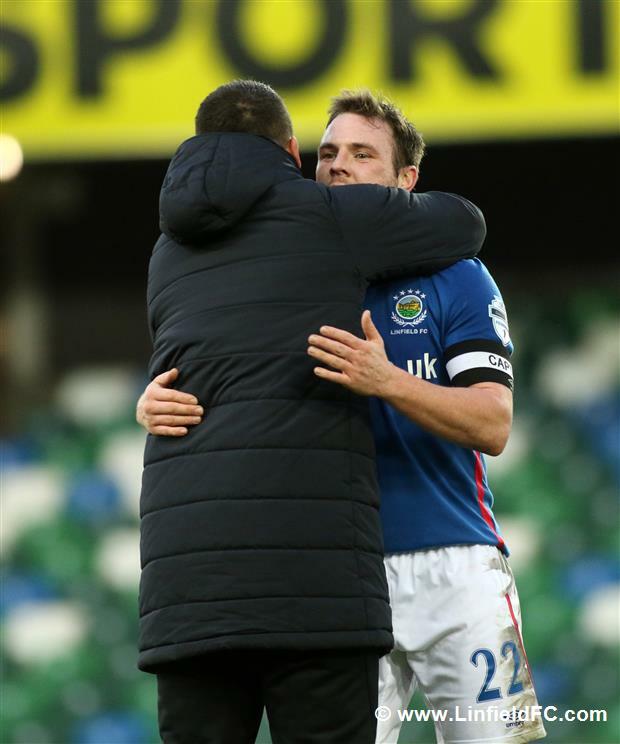 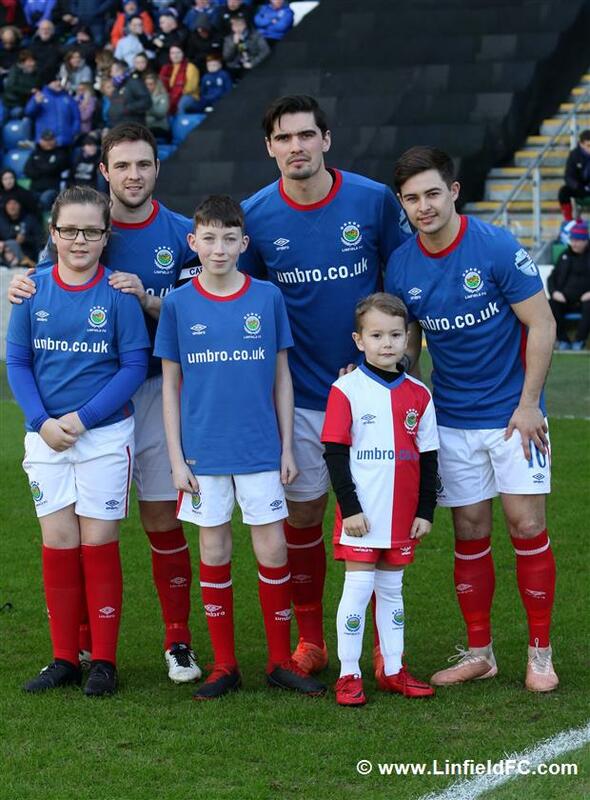 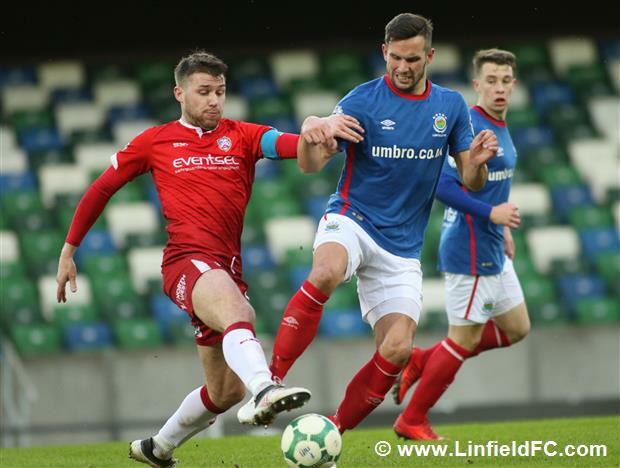 Linfield showed character and went on to draw level on 68 minutes. 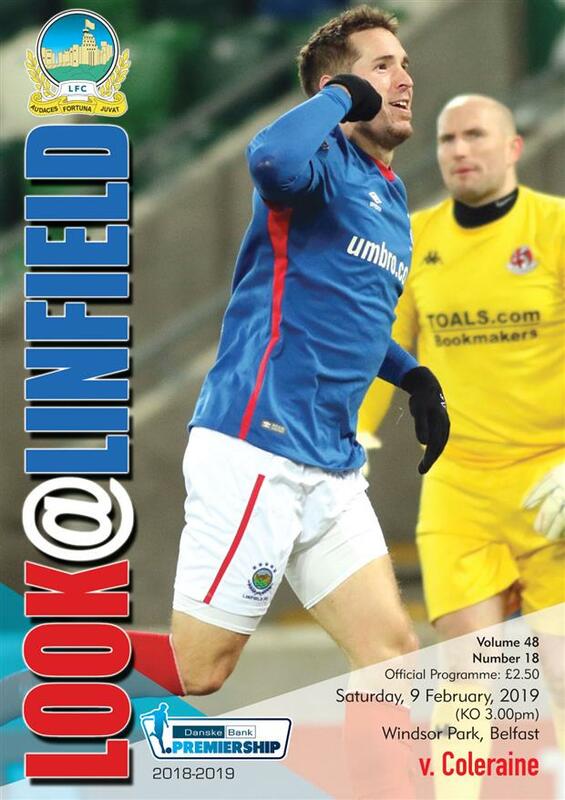 It was a very slick move as Niall Quinn slipped the ball to Czech striker Marek Cervenka on the left. 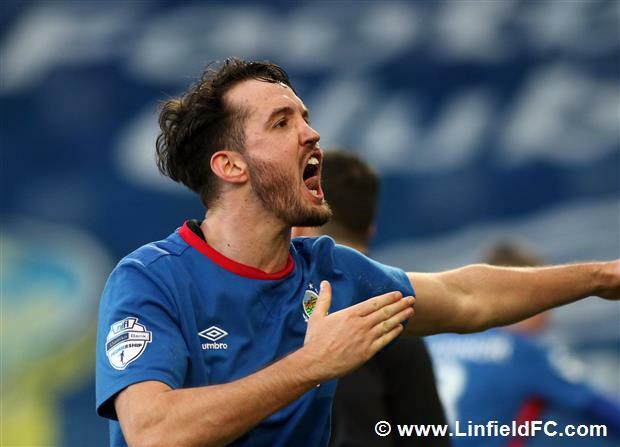 The big striker showed good vision and awareness to return the ball back to the onrushing Quinn to hammer the ball clinically into the top corner from inside the box. 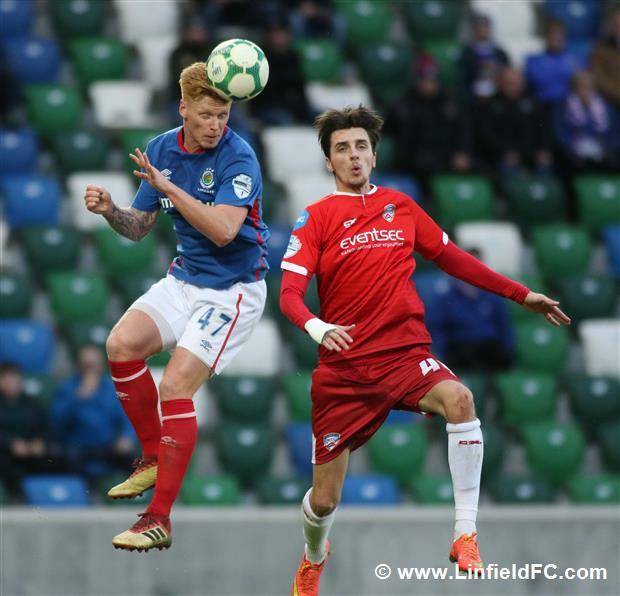 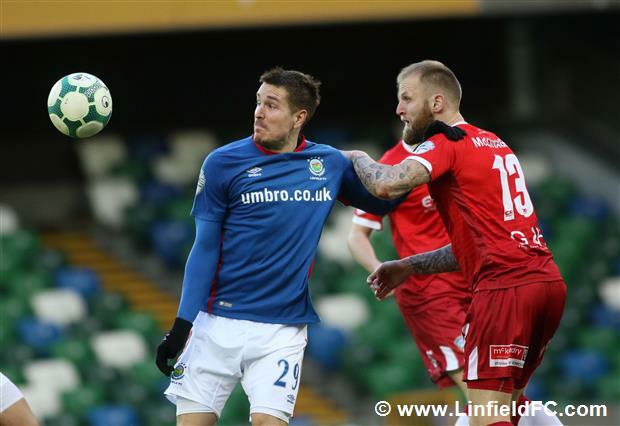 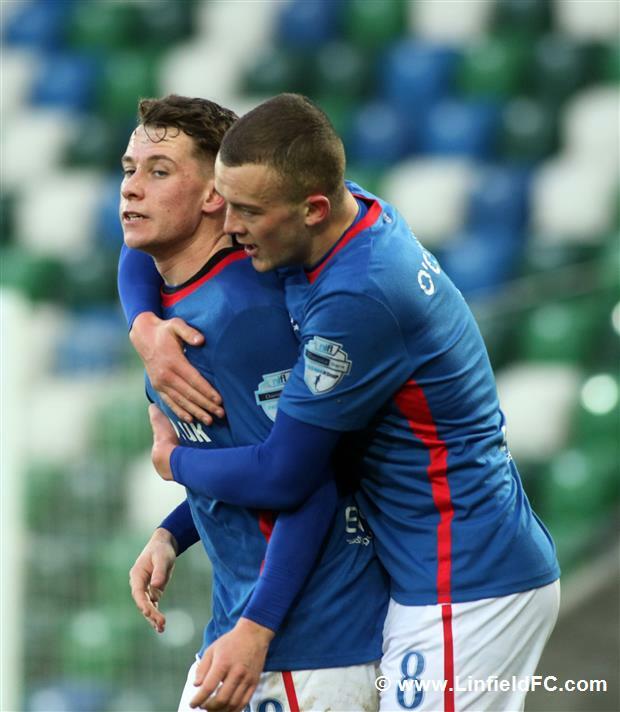 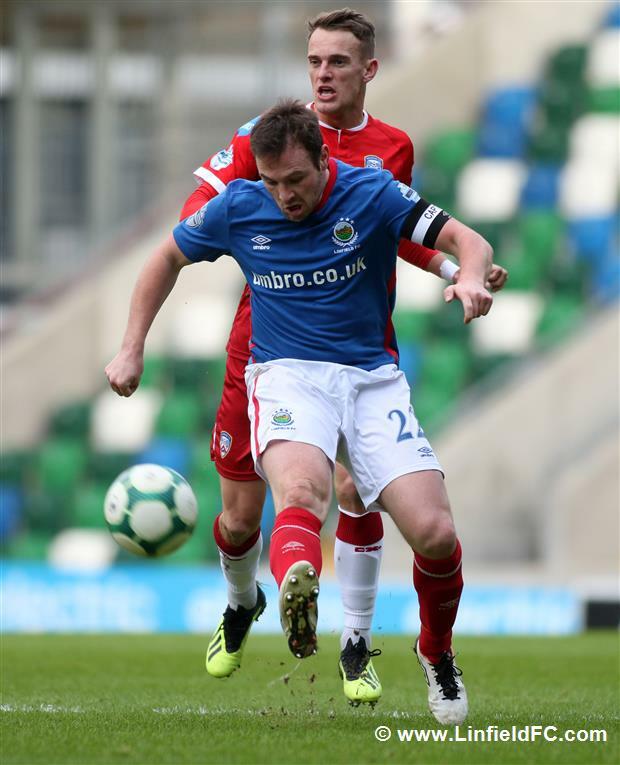 Linfield were well on top in the time that remained and went in search of a winner. 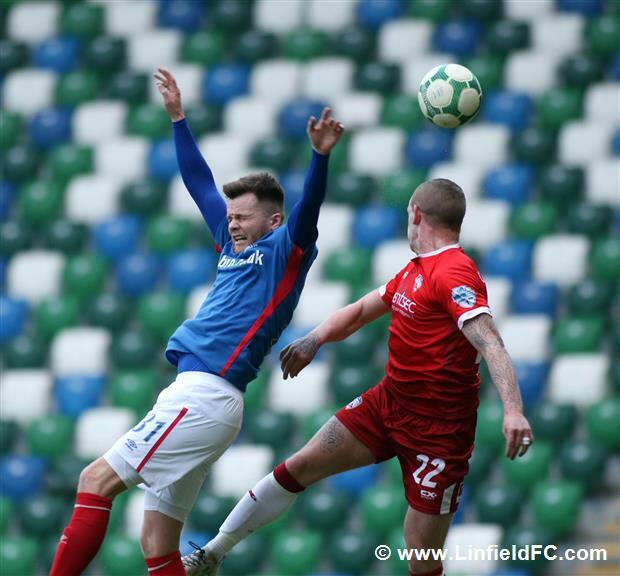 Andrew Waterworth was unlucky as he met Kirk Millar’s cross with a glancing header but with the angle against him his header flew wide. 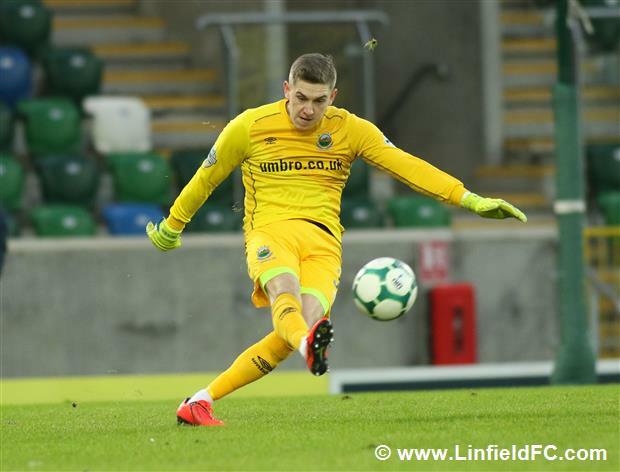 Substitute Michael O’Connor went agonisingly close to a winner on 83 minutes when he was found in space at the back post but he fired his shot against the post. 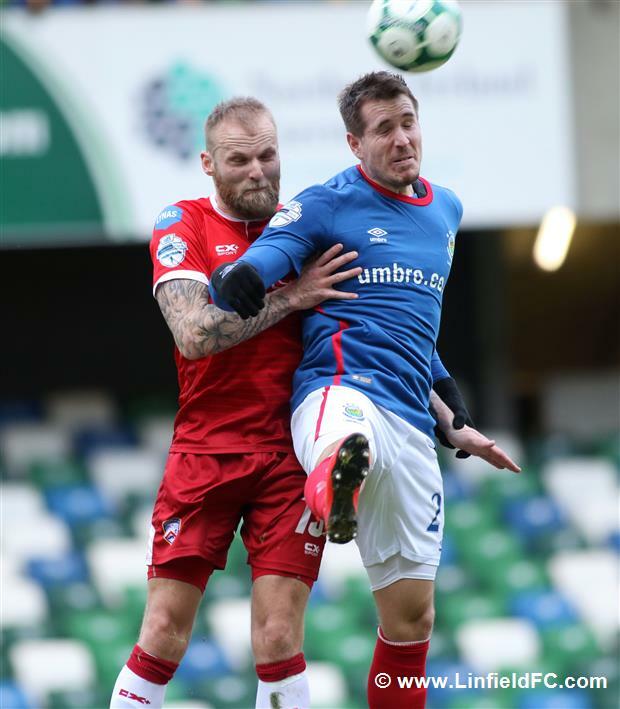 Unbelievably, the striker was denied by the woodwork again a minute later. 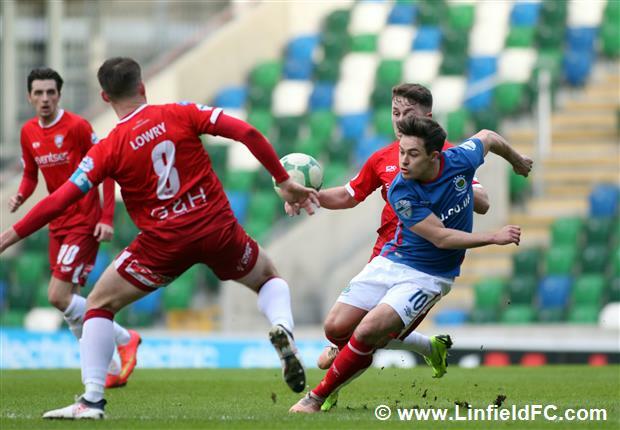 The ball dropped to him at a corner and his deflected shot struck the crossbar. 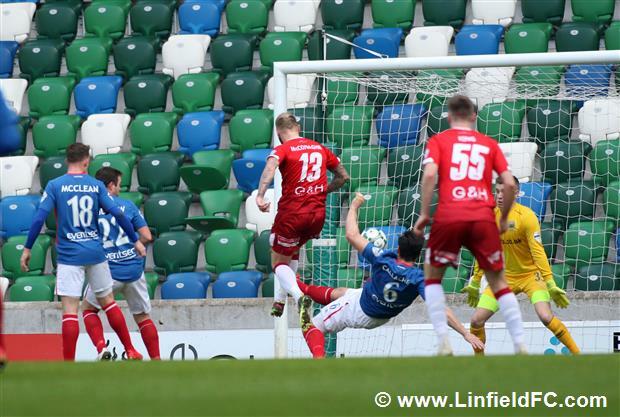 The Bannsiders almost hit Linfield with a sucker punch when James McLaughlin got an strong header on target but Gareth Deane produced another fine save to push it over the crossbar. 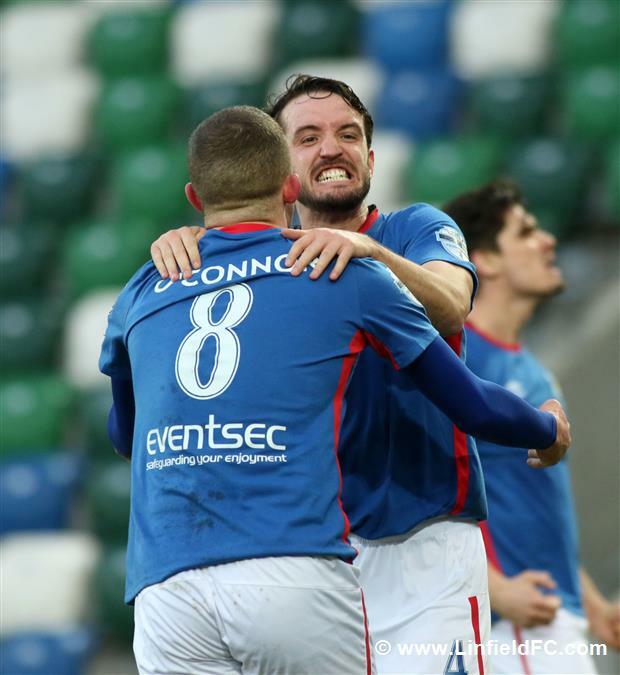 But an incredible comeback was to be completed in the 90th minute. 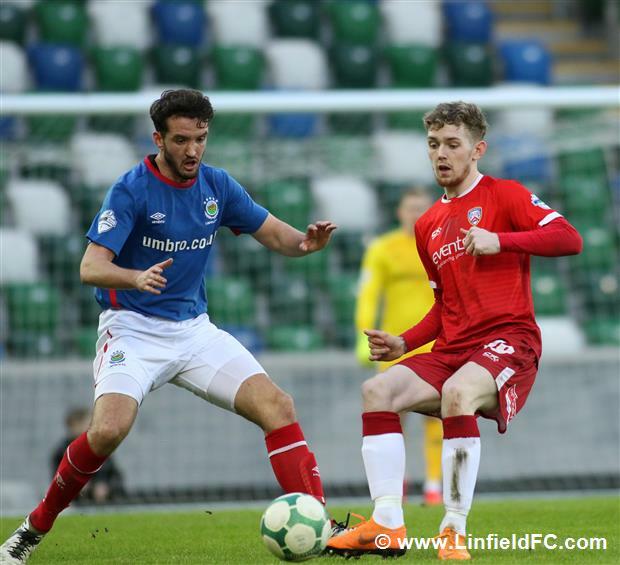 Impressive loanee Kyle McClean bagged his first club for the club in dramatic circumstances. 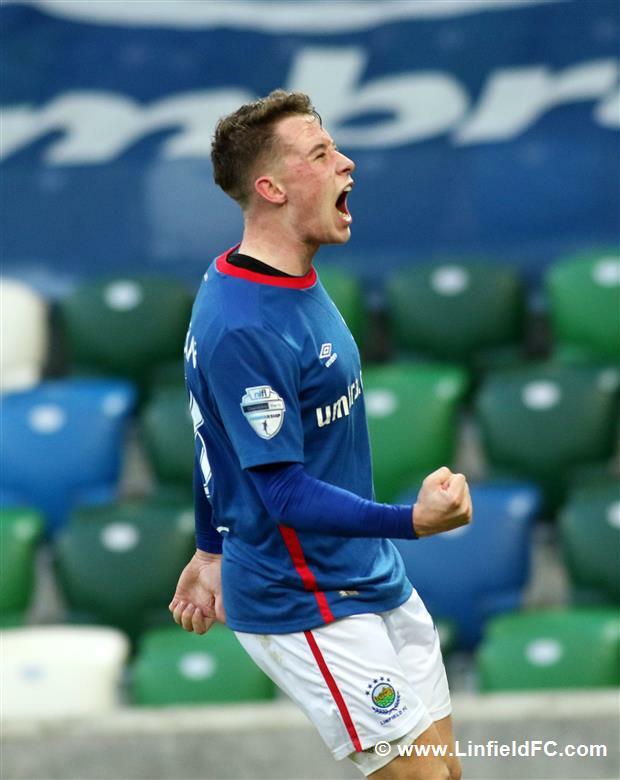 The 20 year-old, on loan from St Johnstone, squeezed in a low strike from the edge of the box into the bottom corner to send Windsor Park into raptures.